Posted on April 22nd, 2019 at 9:44 am. This week’s Monday Roundup is sponsored by the Oregon Coast Gravel Epic, coming to beautiful Waldport on May 4th. I hope all your weekend dreams came true! Judging by the photos I’ve seen it looks like the spring weather was loved by all. Posted on April 15th, 2019 at 9:09 am. Posted on April 1st, 2019 at 12:55 pm. This week’s Monday Roundup is sponsored by Treo Bike Ranch in Eastern Oregon, who reminds you that it’s time to plan your 2019 trip! Let Treo pick you up from Portland and whisk you away to an all-inclusive cycling vacation on quiet backroads. Posted on March 25th, 2019 at 9:34 am. We’re excited to announce a new sponsor: Lovejoy’s Tea Room at (NE 33rd and Killingsworth). 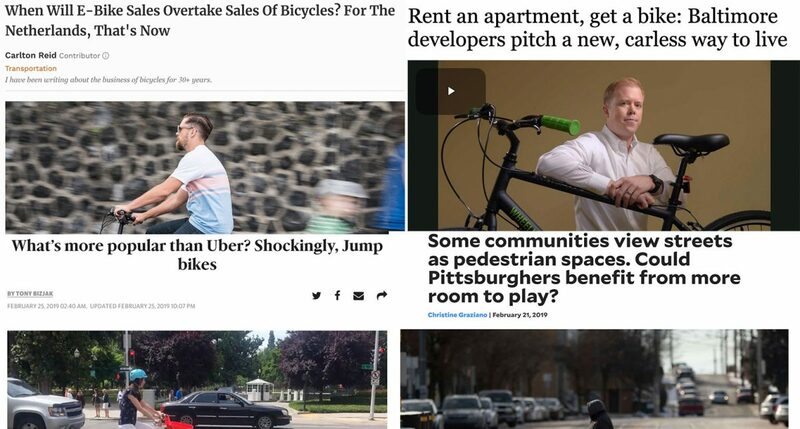 Owned and operated by a BikePortland reader, you’ll get a 10 percent discount if you arrive by foot, bike or transit! Posted on March 18th, 2019 at 9:40 am. 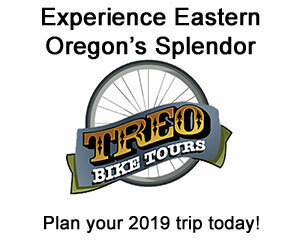 This week’s Monday Roundup is sponsored by Treo Bike Tours of Eastern Oregon. Now is the time to grab your crew and plan your trip! Treo offers multi-day all-inclusive packages and they’ll even pick you up from Portland. Welcome to Monday. Was that a great weekend or what? I hope you were able to enjoy the warm sunny weather. Now it’s time to put our thinking caps on once again. 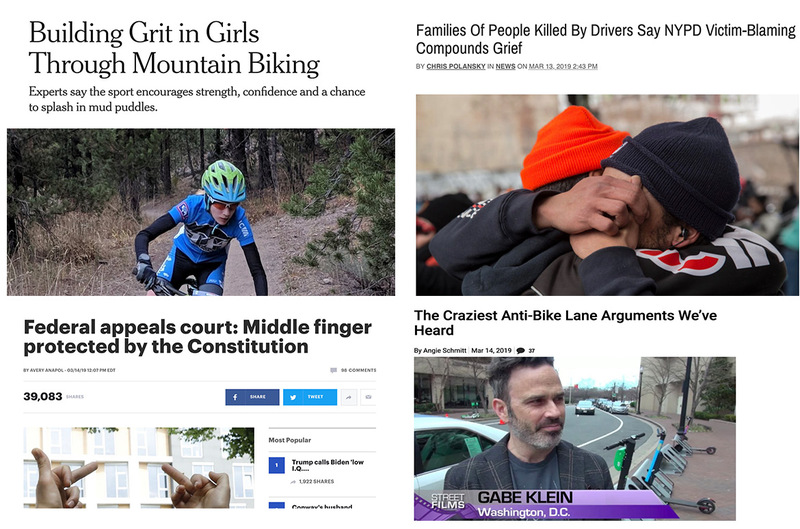 Grit girls: Much to love about this NY Times piece on the appeal of mountain bike racing to young girls and the organization that’s bringing the races to high schools nationwide. Click and Clack: Legendary co-host of NPR’s Car Talk joined Doug, Sarah and Aaron on the latest War on Cars Podcast episode. 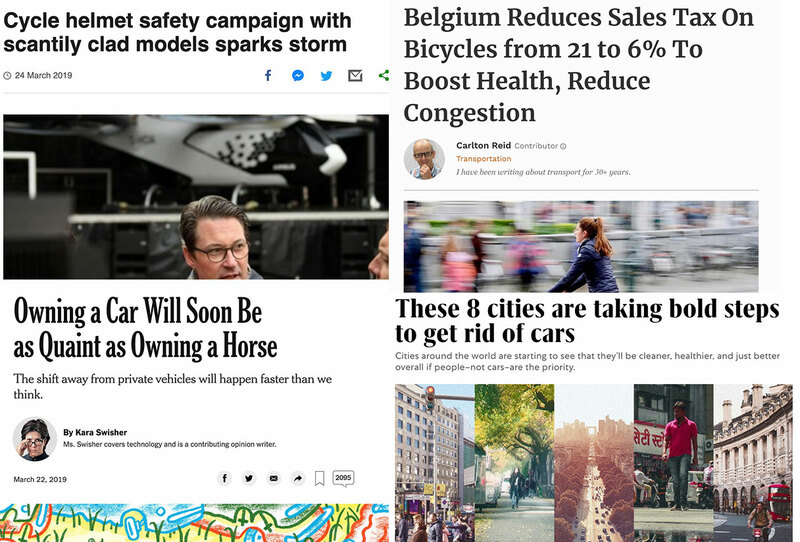 Too many cars: This must-read National Geographic piece (worth giving them your email for) delves into the challenges facing cities and comes to one major theme: To survive and thrive in the future we must undo our history of car-centric planning. 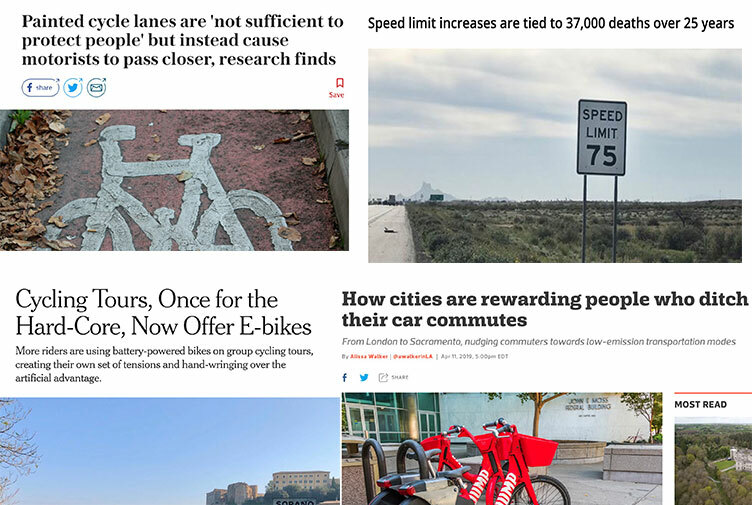 Mobility and climate: And a similar tone from CityLab about the urgency to address climate change and how urban transportation can and should play a major role. 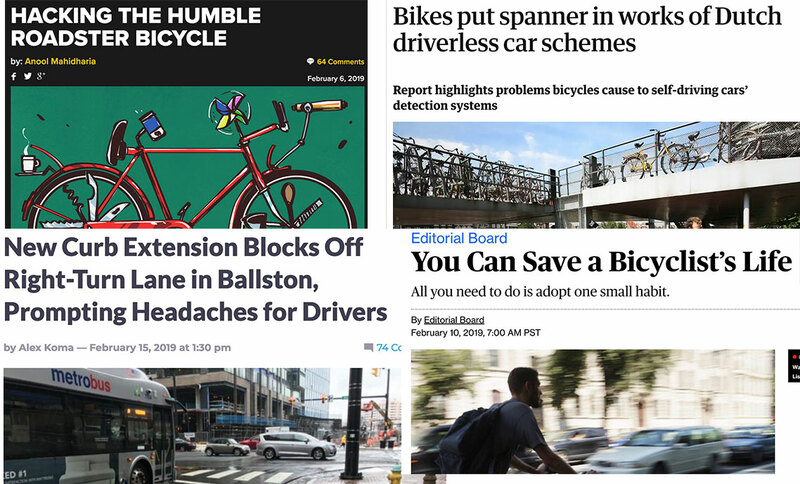 Reactionary progress in SF: Mixed feelings when a city gets aggressive with bike safety fixes only after a high-profile death. Flip ’em off: In a victory for frustrated road users everywhere, a federal court ruled that holding up your middle finger is a constitutional right. Helmet conversation evolves: The success of shared electric scooters in Spokane, Washington has that city seriously considering a change to helmet laws to make them optional for riders. Think airplanes are dangerous? Excellent piece in Slate about how automakers’ rush to sell high-tech cars is making our roads significantly less safe as drivers lose ability to think for themselves and put too much trust into their cars. 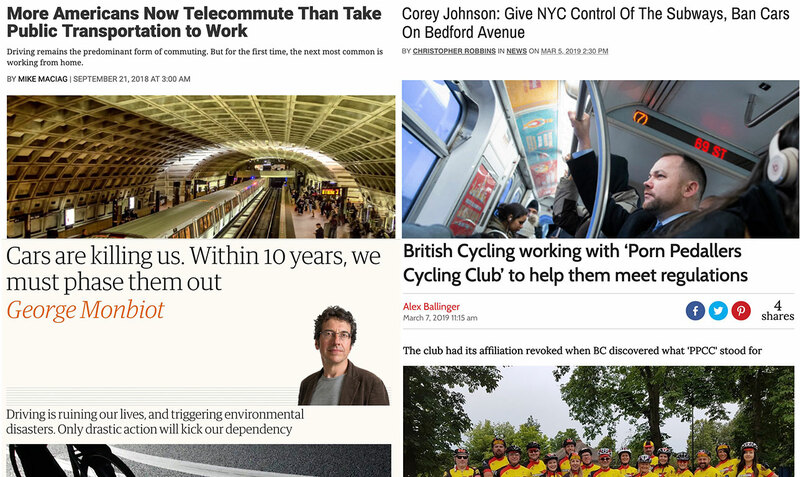 Why people oppose bike lanes: This wonderful Streetfilms from the National Bike Summit features bike advocacy pros sharing the most ridiculous excuses they’ve heard for not building bike lanes. Words matter: The Gothamist does a great job explaining how biased and apathetic police work and insensitive police statements re-traumatize victims of traffic crashes. Posted on March 11th, 2019 at 1:27 pm. 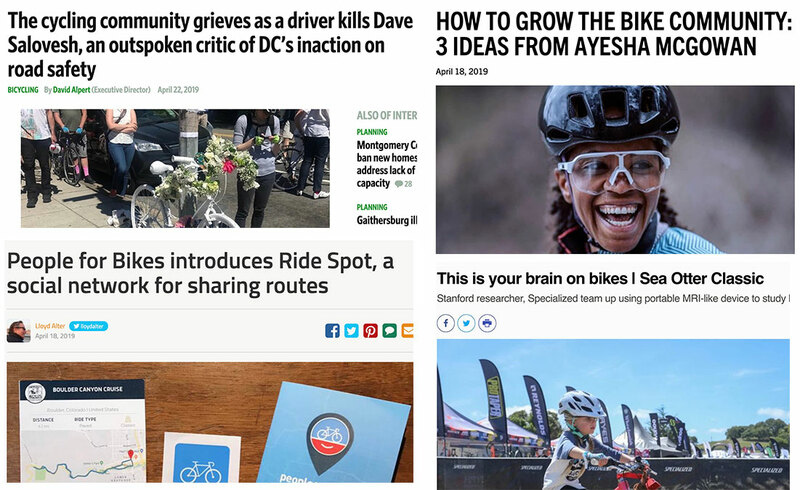 This week’s Monday Roundup is sponsored by Ride Like A Girl Cycling, now offering a range of training rides and coaching services to get you ready for the season. Find them on Facebook too! Posted on March 4th, 2019 at 8:54 am. Posted on February 25th, 2019 at 9:29 am. Bring back Bicycle Day: Before the Presidents Day holiday was used to sell cars it was a “day of leisure” that many people took as an opportunity to ride and race bicycles. Worst Day Ride Photos: Don’t miss these great photos from The Oregonian that captured the costumes and spirit at yesterday’s Worst Day of the Year Ride. Speed kills: A new study has shown that higher speed limits on eastern Oregon highways — passed by the Oregon legislature in 2015 — have led to more fatal crashes. ITE on parking: The influential Institute for Transportation Engineers has issued a promising new policy stance in the latest issue of their magazine: removal of parking minimums, more use of pricing tech to manage demand, and the promotion of different modes. Lime is over bikes: Interesting to see that a company that once operated both shared e-scooters and bikes has decided to drop the latter. 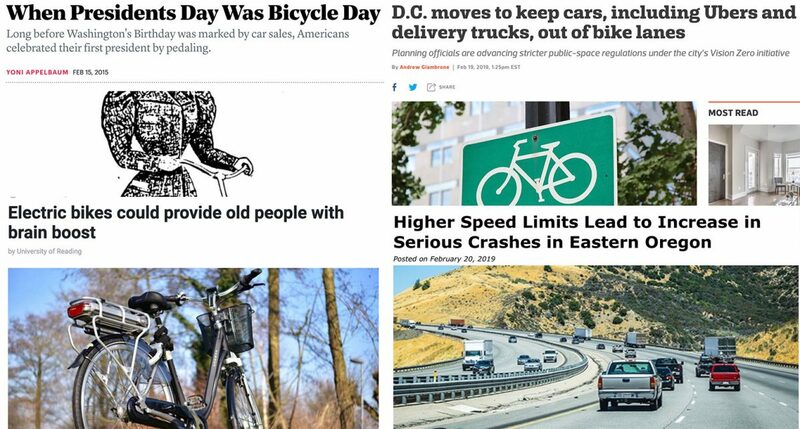 DC defends its bike lanes: The District of Columbia has decided to get tough on Uber/Lyft drivers and delivery trucks who think they can stop in bike lanes by clarifying existing bike lane law. It’s being done as part of D.C.’s Vision Zero program. State of safety: A good overview of why more vulnerable road users are being hit and killed in U.S. cities and what it will take to do something about it. What do we want? More bike parking! 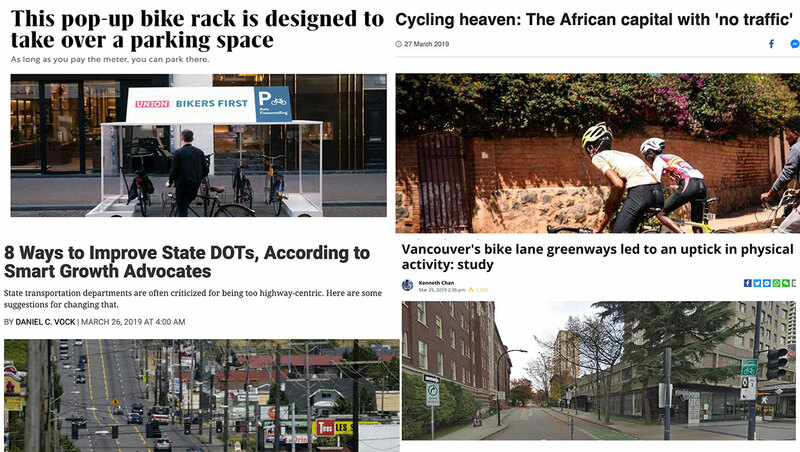 : The SF Bike Coalition is demanding the City of San Francisco triples the number of bike racks and respond more quickly to bike parking requests. NYPD hates cycling: The Bike Snob shares an overview of a problem we’ve noted for years: That behind all their infrastructure and other urbanism successes lies a terrible barrier to bike-friendliness — the police. Mental health and e-bikes: Research has shown that electric-assisted bikes not only make pedaling easier for older people, they can also provide a mental health boost. Slow buses: Portland is working to speed up buses, many of which are stuck in traffic behind car drivers. In New York City, activists on foot challenged a bus to a race across town and they only lost by five seconds. 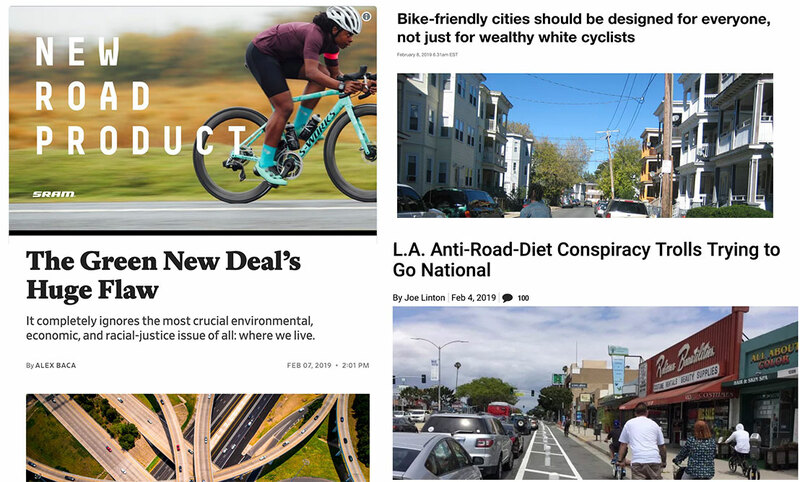 Unspent bike/walk funds: Streetsblog reports on $1 billion in unspent federal funds lying in state coffers that could be rescinded if they don’t get used. And yes, Oregon is on the list to the tune of about $12 million. Is this a big deal? We’re inquiring with ODOT and hope to share more info soon. Posted on February 19th, 2019 at 12:10 pm. This week’s Monday Roundup is sponsored by Ride Like A Girl, now offering a special “Ready to Ride” coaching program to help you get ready for your big spring/summer rides! Yes I know it’s Tuesday. But yesterday was a holiday, remember?! Ride as an act of resistance: An immigrant from Africa shares how cycling has provided solace from the culture shock of living in 80-percent white Denver and an America as divided and vitriolic toward outsiders as its ever been. Trump’s accidental parking tax: Portland’s very own Michael Andersen got a whopper of a scoop when he uncovered a piece of the new tax code that might (inadvertently?) punish corporations that subsidize auto parking as a commute benefit. Stronger aluminum bikes? A new aluminum welding process is on its way to bike frames and the result could lead to very light, strong, and affordable bikes. Posted on February 11th, 2019 at 10:25 am. Bicycle riders are dangerous in Japan: This Japan News article says bicycle riders need more insurance because there are 2,500 collisions between bicycle riders and walkers each year and in 2017 there were 299 bicycle collisions where walkers were killed or severely wounded.